QuintessenceLabs has developed a suite of Data Security technology, products and solutions to secure valuable digital information in-transit, at-rest or in-use. By centralizing the management and control of data-security policy and harnessing quantum science properties to strengthen data security solutions, QuintessenceLabs solutions uniquely maximize security, increase ROI from existing assets and reduce data-security complexities. Our Quantum Security Products integrate seamlessly into existing systems, while building a strong foundation for future data security systems. 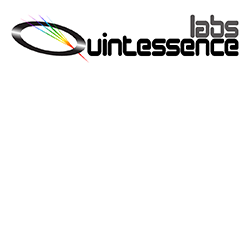 QuintessenceLabs provides affordable, flexible and intuitive solutions that address your most difficult cyber security challenges. We combine best in class key and policy management with the highest quality keys and the strength of a hardware security module to deliver the strongest foundation for security, now and into the future. QuintessenceLabs enables companies to protect their digital information, even in the event of a breach. Our Trusted Security Foundation addresses the complexities and challenges of encryption deployments, enabling simple, robust, and cost effective implementation of the strongest protection throughout the entire organization. Our unique combination of high speed true random number generation, powerful and flexible key and policy management, and embedded hardware security module delivers the strongest foundation for security.